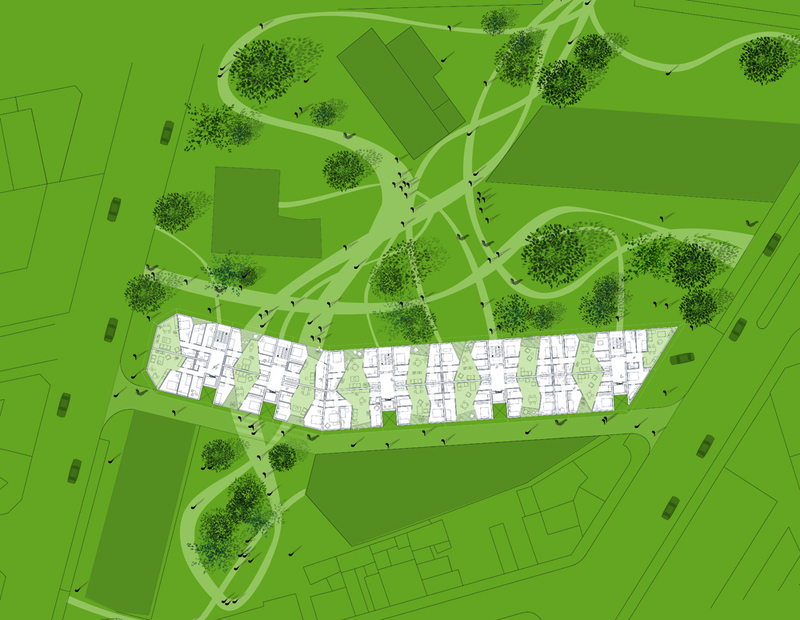 What is the value of new park-like zone in the densest suburbs of Madrid? Can a residential building revitalize the urban fabric of one the most disadvantaged neighborhood of the city? Is it possible to develop a stacked dwelling typology that combines classical qualities and ultimate privacy? 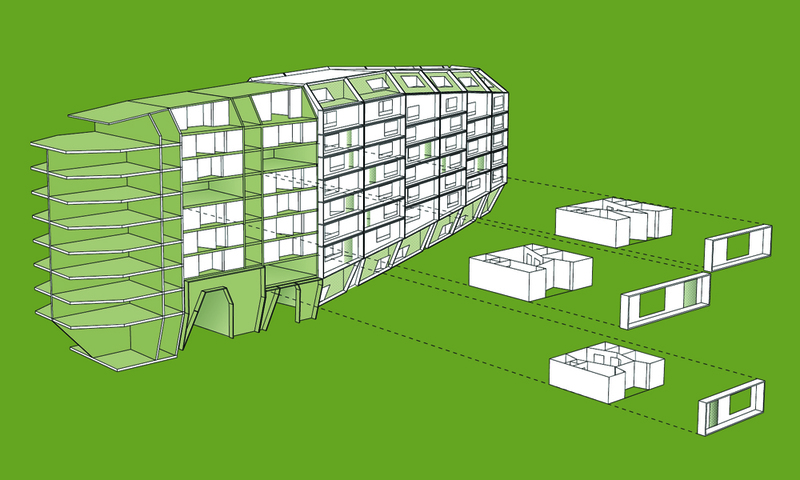 The solution is to design a building that completely fills the given building envelope. 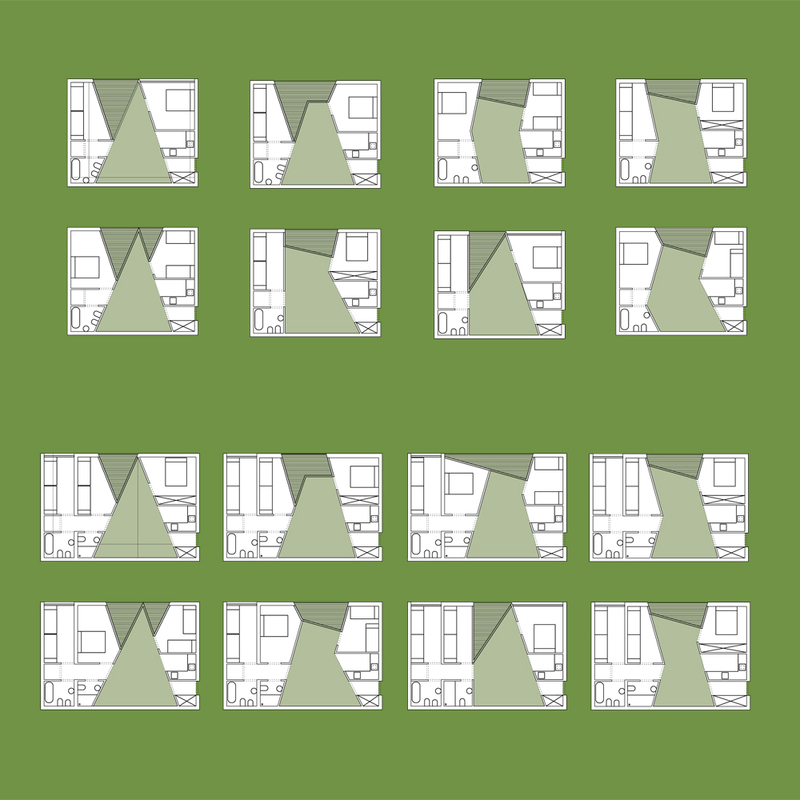 Starting with a bottom layer of duplexes and ending with a layer of penthouses. All housing types are organized around one central living area that is directly linked to a private outdoor space and a kitchen. Using a structure that can span 9 meters it is possible to individually shape all the living space / outdoor space combinations. 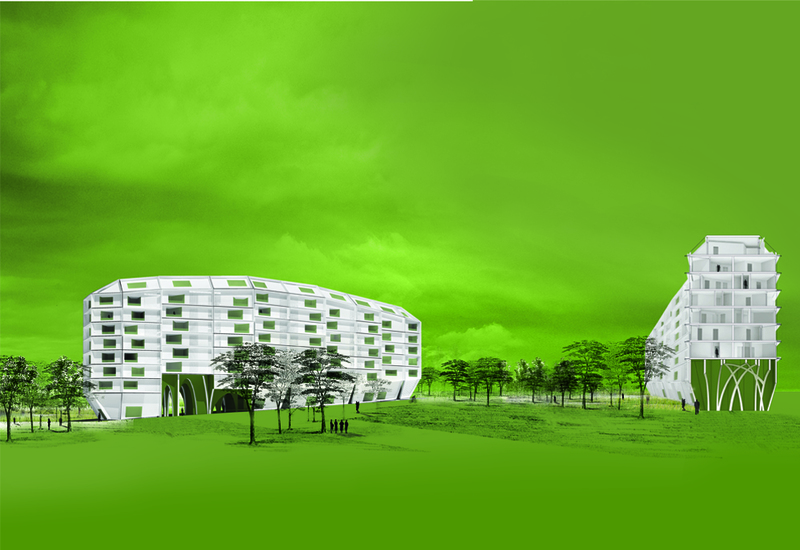 The proposed new building typology improves the exciting urban fabric in many ways: it offers people with a limited budget a house that, thanks to its internal freedom, can develop a unique identity, optimum privacy and a strong connection to the park trough spectacular private outdoor space. 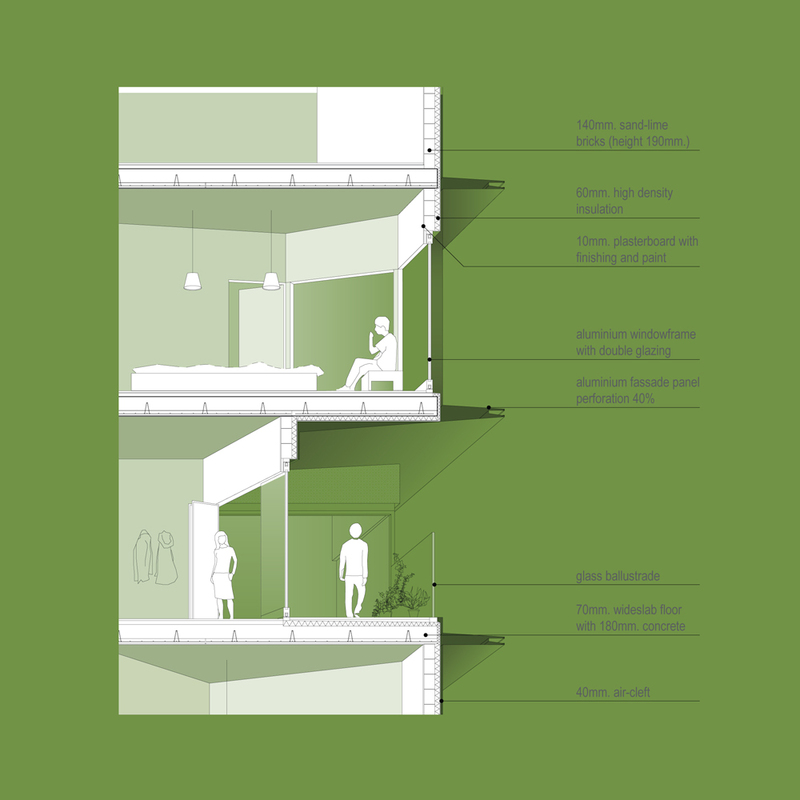 These individual qualities are collected and combined in a strong urban volume. This inhabited rock-like volume creates a sense of identity on the urban scale and functions as an iconic element in the park and the neighborhood.